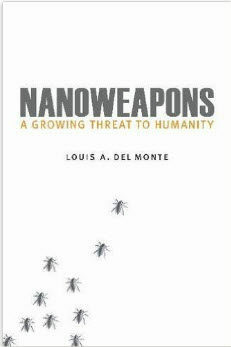 Nanoweapons are the next and most deadly generation of military weapons the world has ever encountered. In fact, they promise to be even more deadly than nuclear weapons. A cloud of secrecy has kept most people from even knowing they exist. Given this fact, let’s define nanoweapons. Nanoweapons are any military technology that exploits the power of nanotechnology. This begs a question, What is nanotechnology? According to the United States National Nanotechnology Initiative’s website, nano.gov, “Nanotechnology is science, engineering, and technology conducted at the nanoscale, which is about 1 to 100 nanometers.” In simple terms, the diameter of a typical human hair equals about 100,000 nanometers. Therefore, the largest nanotechnology is over a thousand times smaller than the diameter of a human hair. This means nanotechnology is invisible to the naked eye or even under an optical microscope. North Korea’s leader, Kim Jung um, has already accused the United States of attempting to assassinate him using nanoweapons. In a 1,800 report issued on May 5, 2017, the North Korean state news agency KCNA said a “terrorist group” conspired with the CIA and South Korea’s Intelligence Service (IS) to assassinate its leader Kim Jong un using a “biochemical substances including radioactive substance and nano poisonous substance.” This report marks the second time the United States finds itself accused of using nanoweapons. Pravda, Russia’s state-run newspaper ran this headline on June 6, 2016: “US nano weapon killed Venezuela’s Hugo Chavez, scientists say.” While both Russia and North Korea are widely known to issue fake news to support their political agendas, it is striking that they both mention the United States’ use of nanoweapons, specifically nano poisons. Is it true? It could be. The United States leads in the development of nanoweapons. Using nano poison to assassinate someone would be virtually untraceable. Unlike a conventional poison, it is nearly impossible to detect its use. What are nano poisons? A nano poison consists of toxic nanoparticles. Because of the size, less than a 100 nanometers in diameter, toxic nanoparticles are absorbed more readily than other known toxins. Nanoparticles are able to cross biological membranes and access cells, tissues, and organs that their larger counterparts cannot. Therefore, nano poisons are more deadly than their bulk counterparts are. Cancer-causing radioactive nanoparticles are particularly deadly and almost impossible to detect. Once a person ingests radioactive nanoparticles, they may die months or even years later, as was claimed regarding the death of Venezuela’s former president, Hugo Chavez. Currently, the United States, China, and Russia are secretly spending billions of dollars to gain an asymmetrical advantage in nanoweapons. 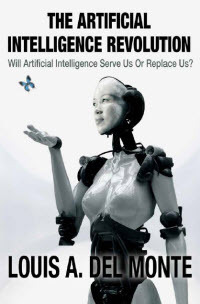 In 2000, the United States government launched the National Nanotechnology Initiative (NNI), a research and development initiative involving the nanotechnology-related activities of 25 Federal agencies with a range of research and regulatory roles and responsibilities. To date, the US has invested over $20 billion in NNI programs. NNI dedicates at least 20% of its budget to DOD programs. In addition, each branch of the US military has its own nanotechnology R&D facility. Nanoweapons are real. 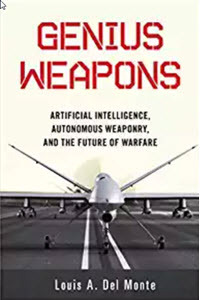 As I fully describe in my latest book, Nanoweapons: A Growing Threat to Humanity, the United States already secretly deploys them. Ironically, the next big thing in military weapons will be small and almost invisible, nanoweapons. The United States is the world nanoweapons leader. Therefore, it’s logical that they would use this capability to defend the homeland. If we learn that Kim Jung un is dying from cancer, similar to Venezuela’s Hugo Chavez, it may be the result of a nanoweapons attack. Science fiction? No! Science Fact.